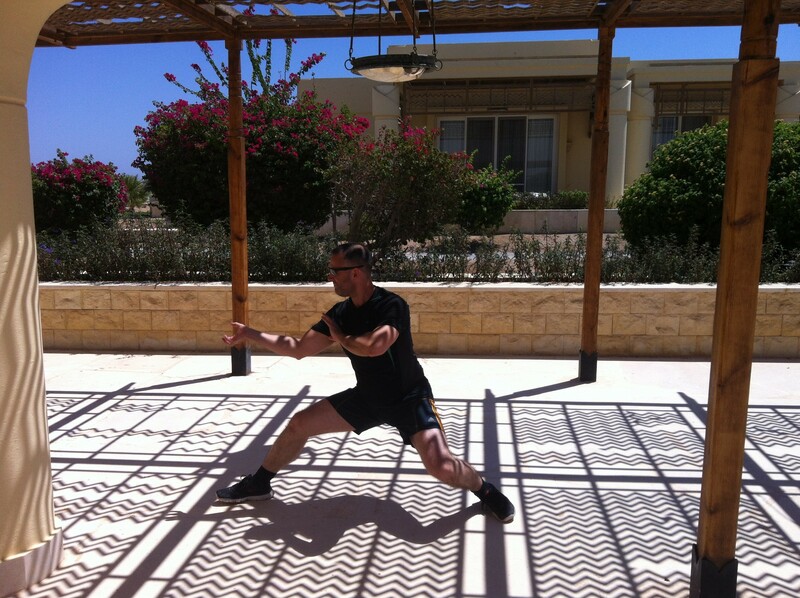 In recent years it has also become the home of our instructor training camps, escaping to the heat, the five star location, space away from normal life to have a week to just concentrate on training and refocus on strategy. And at the beginning of September this year it was, at least for me, week of the Golden Staff. Not an Egyptian one. A Lohan one. 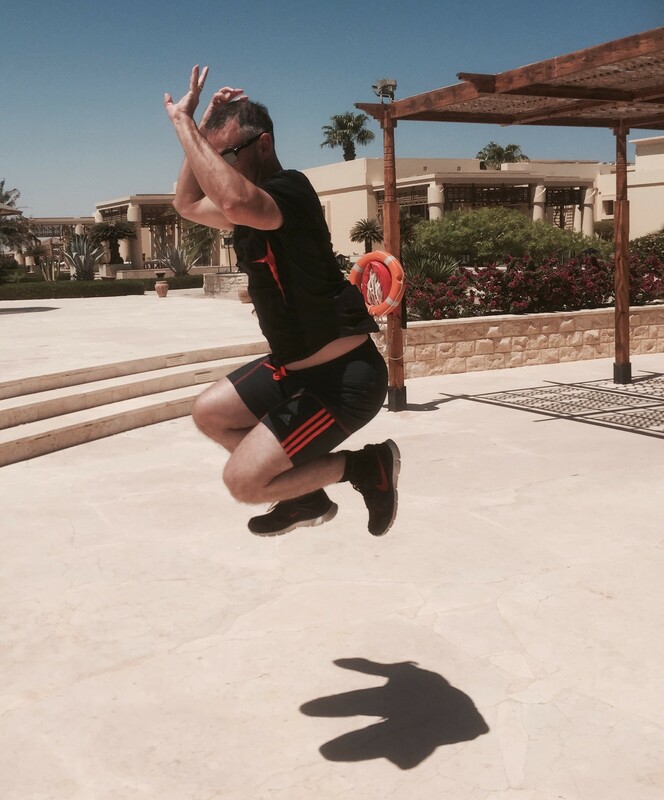 So, clutching my invisible golden staff, and with the hot sun beating down, training commenced. Training at 37 degrees has its own set of challenges. Do a pattern, pour sweat, take a moment in the shade, drink water, repeat. My pattern is my most acrobatic so far. It has spinning jumps, holding the staff over my head like a helicopter, leaping from one leg, and landing on both; it has jumps into low stances whilst the staff is swung at my opponents’ legs. Before this week it hasn’t fitted together as well as I want, so the week was about connecting movements, getting flow. As my Kung Fu brothers will testify, at the beginning of the week there was a lot of cursing and swearing on my part. I HATE not doing something well, not feeling that joy of movement that comes from well executed movement. But of course it’s all just a matter of practice. 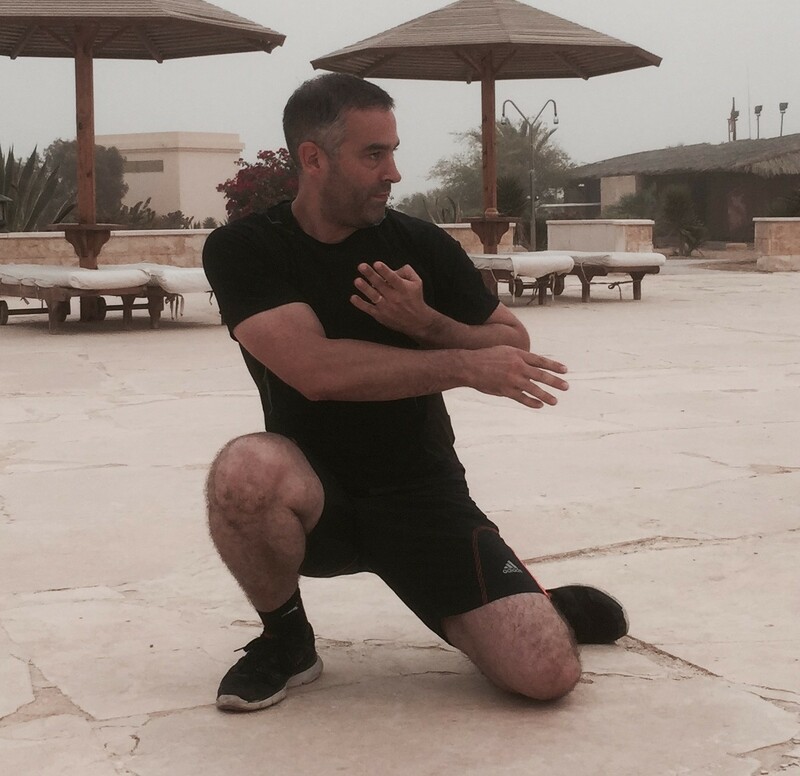 I’ve been training Fujian White Crane Kung Fu for 27 years now. I’m no spring chicken any more (at 43 I’m nearly middle-aged), and one of my concerns was that my joints might not stand up to all the leaping, twisting and landing (particularly my knees). But I have been doing a lot of leg strengthening this year (sorry, my method is secret!) The best way of protecting your joints is to make the nearby muscles stronger so that the muscles take the stress rather than the joints. And of course to make sure you eat well before and after training so that your body has the energy it needs to train and the nutrients to recover. And eating well definitely wasn’t going to be a problem this week. After a few days my airborne movements were becoming more graceful, my landings more accurate, and there were bigger gaps between expletives. My movements connected better to each other. And my knees survived the week beautifully! Do you train with Dave? Don’t forget to ask him about about his hero preferences – Liu Bei or Cao Cao?